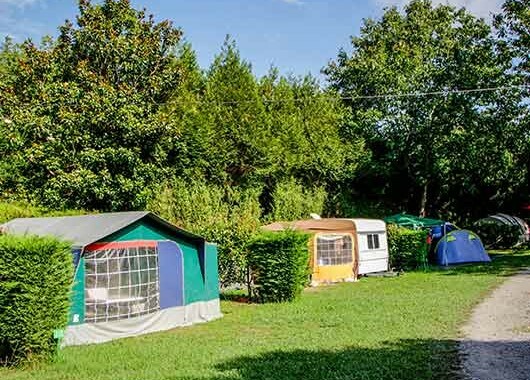 Your camping or caravanning pitch at the sunny Suhiberry Pays Basque Campsite in the shade of oak and poplar trees, it a natural place to stay perfect for holidays with family or friends. 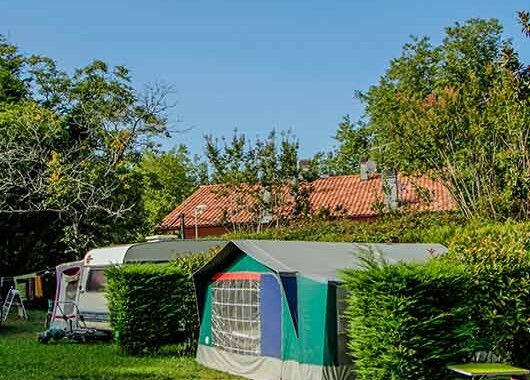 Book one of our 110 grass pitches (of a toatl of 169) surrounded by hedges and set out on terraces to preserve your privacy. 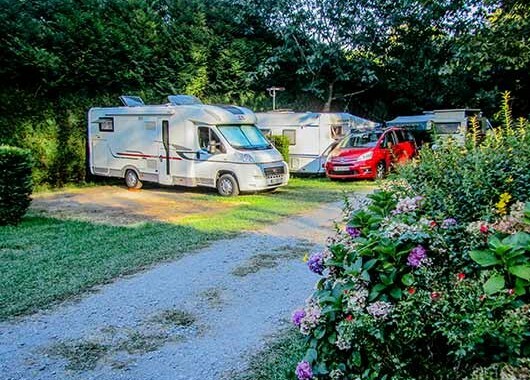 Pitch your tent or park your caravan on our pleasant airy pitches that are still in the majority on our site for a unique campsite ambiance. Three toilet blocks are located around the campsite to best serve all our visitors. Like everyone, our team is very aware of the need to keep the facilities clean and we do our best to ensure the toilets are kept spotlessly clean. 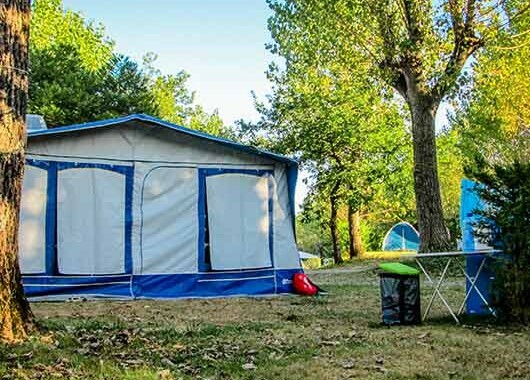 A perfect campsite for family holidays in a wooded, well-maintained and flower bedecked park. 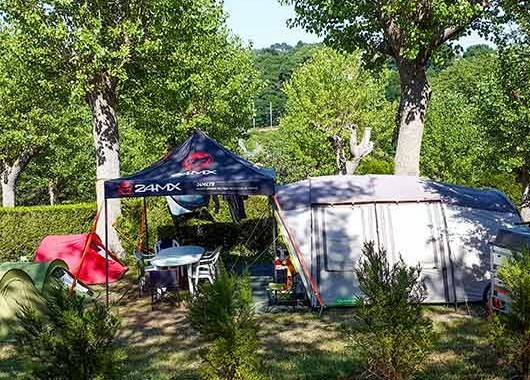 We respect nature and the green charter of our Camping Qualité quality mark. We guarantee cleanliness, quality services and cheerfullness for a successful holiday! Do you need a fridge during your stay? Call Quincaillerie ALDACO in Urrugne (+33 5 59 54 31 59) who can rent you one for €4.50 per day for a minimum of 5 days (subject to availability). It will be installed at the end of the day you arrive. Don’t forget to book in advance! 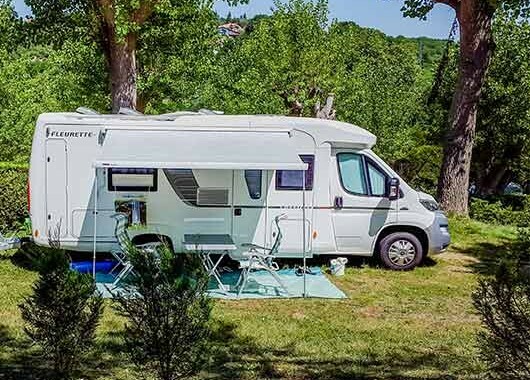 For greater comfort, opt for Mobile Home rental in the Pays Basque.